I am skiing with my son today, but I took a moment to stop so I could tell you about my business, Marketing For Owners. 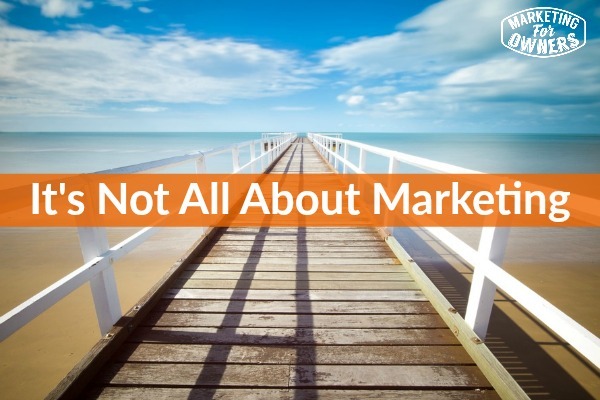 Many people think it is all about marketing, but it’s not. There’s more to it than that. And by the way, it’s quite windy, the wind is picking up. So I’m just going to stab the tripod into the snow. Who on earth would come out and stand on a snow slope at the end of the day and do this? But, in your business life, marketing drives customers, drives sales and it increases your business if you can improve your marketing. But it’s not all about that, otherwise you could work twenty hours a day calling people getting extra sales; but it’s about your lifestyle and your entire life. But what I would like you to learn is that your business does not have to consume your life, you can do what you like. Now a lot of people, I know a lot of people with businesses who can’t have holidays. By the way, I am doing “can’t have holidays”, because they’ve got something coming up, they have got a big project coming up, they’ve got something coming up. And of course they can’t plan too far ahead because they don’t know what’s going to happen. Things happen at work, there is not enough staff, they are short staffed, etc., etc. But it’s excuse, it’s very common, and by the way I used to have this problem as well before I discovered the light. But it’s a very common excuse and it’s because much of it is habit, everything depends on us as the business owner, in our mind, but it actually doesn’t. How do other people run businesses and go off and play golf, or go off on holidays, perhaps they never work a Friday, always have three day weekends, and perhaps they take their little young kids to school in the morning and they go and pick them up halfway through the afternoon and walk them home again. How do they do that and how do their businesses seem to be successful? Well, it’s because they’ve decided they want a particular kind of lifestyle and they have worked to get it. So they have goals for their business, perhaps they have goals for family life, goals may be spending a certain amount of time with the kids. A lot of us will take work home, will use our iPhones, we’ll go to school events and we’ll be checking our iPhones. And we’ll go on school trip and while the kids are over there doing this, we are checking our iPhones, checking e-mails, doing whatever we feel we can’t miss out on; tweeting, something like that because we feel it’s not, no big deal, I can still watch them. But, you are not present, you are not present. So a lot of people have goals for their family life and that’s something I strongly recommend. You may have a goal for your spiritual life and your spiritual life doesn’t have to necessarily include religion. There’s all sorts of ways of looking at it, of peacefulness and some people choose to meditate and there’s lots of things to just bring an overall peacefulness to your life to give you things outside of work. You may have goals for fitness and for diet, things like that because we are going to live a long time, we’re going to live, those of us now, yeah, you’re looking at me and thinking you’re already halfway there. But those of you that are in your twenties and thirties, you’re going to live a lot longer than your grandparents and you better look after yourself because your grandparents were not eating pizzas and McDonald’s and drinking sodas and stuff. So perhaps you want to look after yourself. So, in improving your business, so in the Marketing For Owners philosophy, as well as looking to double your business with a lot less effort, the whole thing is to find time to do other things. My kids are busy, they are getting a bit older, my kids are sixteen and eighteen, they don’t need their dad messing about with them, although Harvey by the way, my 16-year-old is here with me skiing, we ski all week together, he is a good lad. So, just think, take a breath, stand back from your business and think to yourself “Well, I am busy, I am working flat-out, I don’t have time to do anything. But, am I doing the right work? Is this the work that is for me? Is it possible that I could get somebody to do some of these other things? “And I know I don’t have any spare staff, but is it possible that I could get someone a couple of hours here and there to do certain tasks. And it possible that if I create systems, if I write down the way I do things, is it possible that I can get someone else to learn what I know? “Is it possible that I could trust someone to look through my e-mails and to pass me the ones, only the ones I need to deal with, if there’s any I need to deal with at all? Is it possible that I could give them the time to learn and I could help them learn to take that job away from me? “Is it possible that I can develop a marketing system that creates new customers, so customer leads are coming in all the time and there’s a steady stream of new customer leads and new customers? Because with a bit of luck, you’re going to earn extra money and that time you could spend maybe on a holiday, maybe on something like that. Try and remember why you did, what were your intentions? Was it because you don’t want to work for somebody? If you’re going to put the effort in you want it to be for you so you get the rewards. Did you hate working in your cubicle or in an office, working for a boss who wasn’t very nice or management who didn’t appreciate you? Did you hate having to go to work from nine o’clock to five o’clock, whatever the hours were on a commute? Have you exchanged that nine to five to a nine to ten at night and weekends? Do you have holidays? Remember when you had a job, and if you are in the UK, you get a minimum of four weeks off, you probably then get all the bank holidays as well, that’s going to add another couple of weeks and if you’re good, you might even get extra. And, you’ve exchanged that; so try and think back, why did you start the business. And we can do this together. When I first sold my businesses because I was tired of dealing with staff, when I started my next, my fire protection online, I decided it wasn’t going to happen like that again. And now, look at me, I am off skiing in April, when everyone else, when they’re doing my work, running my business, nobody’s being in touch, no one would get in touch with me. When I am back next week I will pop in on Thursday, and everything will be fine because it’s all systematized and it took me a few years to do that, but I did it because it can be done. Lots of people have done it before, so remember, it’s not all about marketing, it’s about an entire lifestyle. Why are you doing this? Find time, make time for yourself, reduce your stress, make more money, have yourself a better life. Please. To give you some more inspiration, today is drive time podcast day and you will like these because these are short. In fact they’re virtually every day, I don’t think they put them on weekends, but put them on on every week day, but it is as simple as TED Talks. 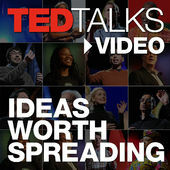 So just Google TED Talks podcast, or go into iTunes and just search in the podcast section for TED Talks, there’s only one, you will find it. Download it because it’s free — about ten, fifteen minutes a day, you don’t have to listen to them all, but get some inspiration, go for it.